Set the frozen rolls evenly apart in the dish, with one in the middle and the rest circled around. 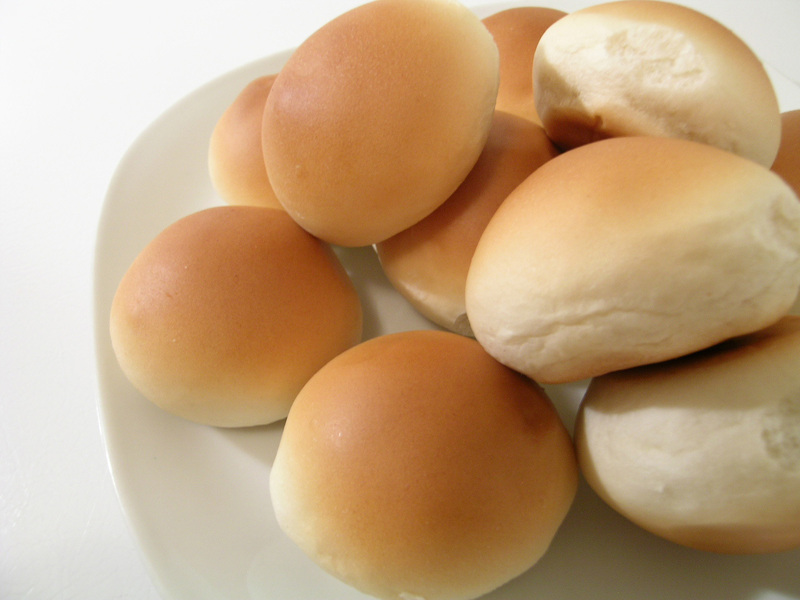 Let these rolls sit until they are big, puffy and fully risen. Go by package directions, but in high altitude it can take as long as 6 hours. Other climates report as short as 3 hours. When they look like they're ready, heat the oven to 400 degrees F. Melt the butter. You can add a little oil to stretch it if butter is dear to you. Now, take a pastry brush and GENTLY brush on some butter to the tops of all the rolls. THEN, take the rosemary in little pinches and spread evenly across the rolls. Do the same with the Parmesan cheese. Brush the whole thing AGAIN with the butter. Yes, do it again. You won't die. Put in the oven and bake according to directions. Usually, it's 20 minutes. Watch them! I check them half-way through and turn them around so they brown evenly. When they're golden and beautiful, take them out and brush them with butter again! This isn't a diet food. It's a come-to-me-and-love-me food. Dried minced onions. You'll find these with the spices. Caraway seeds by themselves would make the rolls taste like rye bread. I think you could use cinnamon. Yes. That would be fabulous. Instead of the rosemary and parmesan, though. Not with. For a sweet twist, cinnammon would be fabulo! Maybe some sugar sprinkled on top, too!